Almost all travel rewards credit cards work on a points-based system. You earn one point (or mile) for each dollar that you spend at the most basic level. However, you can usually earn extra points for certain purchases. How much you earn, and what you earn extra points for, depends on what type of loyalty program you are enrolled in and which credit card you are using. There are a number of general travel rewards programs that allow you to earn points and then redeem them on any number of items, from airfare to hotel stays to discounts on cruises. Most of these programs have a very straightforward one point for each dollar spent guideline. Some of these cards do offer the chance to earn extra points for certain types of spending, such as on travel or dining out. You might earn three points for each dollar spent on airfare or hotels, and two points for each dollar spent on gas or on dining out, for example. Choose the card that offers extra points for the category you do the most spending on to boost your ability to earn points. Most travel brands have loyalty programs connected to credit cards. So, you might be able to combine your usual loyalty points for hotel stays and air travel with credit card rewards. In many cases, you earn extra points or miles when you use your loyalty branded credit card at the appropriate brand, allowing you to earn free airfare or stays even faster. 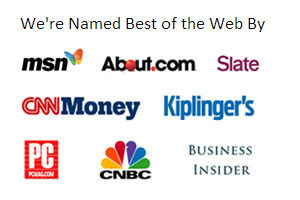 Many of these brands also have partners. So, if you use a specific rental car company with your loyalty program card, or if you eat at a partner restaurant, you might get extra points. Some cards also have shopping portals, where you can earn extra points or miles by making purchases through a specific site. I shop for FTD flowers via my credit card's portal for Mother's Day, since I get extra points for the flowers I'd send to my mother and my mother-in-law anyway. Different credit cards have different policies regarding how you redeem the points into actual travel rewards. Co-branded credit cards will usually offer redemption through the loyalty program the credit card is co-branded with. 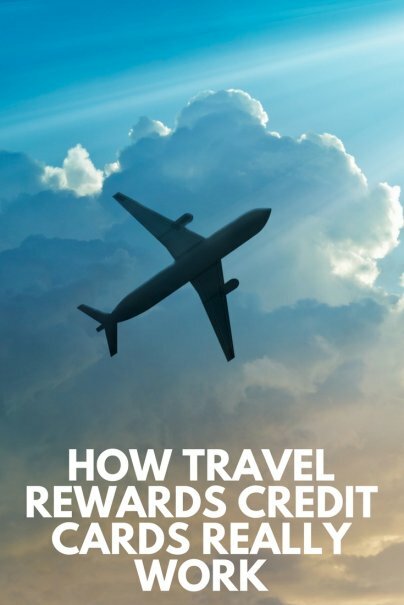 You can go directly to the airline or hotel website and redeem your points or miles for travel, since your loyalty account is connected to your credit card. Many general rewards credit cards offer redemption in the form of transferring points or miles to the loyalty program they are partners with. Usually, this is not a 1:1 transfer. For example, 10,000 miles on your credit card may result in 8000 miles once it's been converted to the airline or hotel loyalty program you've selected. This is one of the disadvantages of not using a co-branded credit card, where you would get the full value of your miles. However, it does offer flexibility in which brand you want to purchase travel from. Some credit cards offer redemption through their travel shopping portal. You can spend your points by purchasing travel through their site. You may also get special discounts on the travel, which encourages you to use their portal for travel purchases even when you're not spending your rewards points. Finally, some credit cards will offer a statement credit on travel purchases as a way to redeem your travel rewards. Just make your travel purchases as usual, and then apply your points to those purchases. You'll see a statement credit within one or two billing cycles. This offers the advantage of being able to receive rewards points or miles on your travel rewards! One of the most interesting realities associated with redeeming travel rewards is that you can often get better value when you redeem for luxury travel, especially with international travel. An economy ticket from JFK airport to London's Heathrow might cost $1,507.80, and the business class might cost $6,589.30. However, you might only have to "spend" double the points to get a business class ticket. You might spend 60,000 miles in economy (plus pay about $210 in taxes and fees), but you could fly business class for 120,000 or 130,000 miles. That's a pretty good value for an upgrade, since if you ended up with a dollar for dollar comparison, you should be "paying" a little more than four times the amount, or about 240,000 miles, for business class. However, even if you don't find yourself in those situations, travel reward redemption can still be a bonus. As long as you pay off your credit card balance each month, and you aren't paying interest, then you are basically traveling for free. You earn these points, and then you can use them to stay free at hotels, or get a free boarding pass. Other programs allow you to enjoy discounted travel. You might get a certain number of free checked bags when you fly with a branded airline if you are part of the program. You might also have access to discounted rental cars and other perks. Recently, I saved 40% off the advertised price when I rented a car through a partner of one of my travel rewards cards. Some airlines offer you the chance to purchase a "companion ticket" for $99, or for some other discount as one of the perks. If you would normally have to pay $350 for another ticket, that can be a big savings, and add to the value of the rewards program. Realize, too, that there are some limits to redemption. You will get the best value if you use a co-branded credit card with a specific brand. Your loyalty will be rewarded. General travel programs don't offer the same points/miles value, although you do have more flexibility. For example, a general credit card rewards program might charge 80,000 or 90,000 miles for an international economy flight, but you could choose to fly on any airline. You would spend fewer miles if you were using a co-branded credit card, but you'd have to fly with that particular airline (or its partners). Some loyalty programs have blackout dates, so you might not be able to redeem your miles during peak travel times. Other credit cards offer zero blackout dates for travel redemption, but again, the value you receive for your miles or points could be lower. You might also be limited to certain hotel rooms or certain styles of car when you get a rental. Travel rewards can be rewarding indeed — as long as you pay attention to the terms, and make it a point to get the best bang for your travel rewards buck. So the more you travel, the more you earn 'travel points', right..? But you would have to be travelling and so buying flights, hotels ,ect in the first place, to be able to earn any points at all, is that right?